Δελτίο τύπου: «Mortanius, a progressive power metal band with symphonic and neo-classical elements was formed in 2013 by ex-Outlander vocalist Lucas Flocco and drummer Victor Cardone who were joined by guitarist Mike Gissi and bassist Jesse Shaw. From 2014 to 2016, the band recorded 3 EPs, each one steadily increasing the band's online presence and fan base. In 2016, after the release of their third and most successful EP at the time, "A Voice From Beyond", drummer Victor Cardone departed from the band. A year later in 2017, Mortanius returned to the studio to create their first full-length album, "Till Death Do Us Part". Ollie Bernstein (Ousiodes) recorded all lead guitars on the album, while AJ Larsen (of Madison Rising, Vicious) handled rhythm guitar duties. 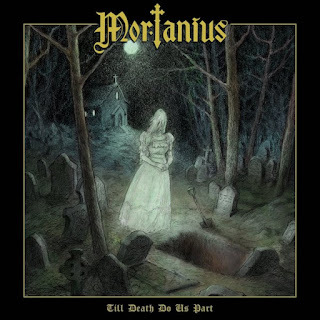 Mortanius also reached out to renowned power metal singers, Leo Figaro (Minstrelix, Dragon Guardian) and Jonas Heidgert (Dragonland) to provide guest vocals. Lyric video: "Facing The Truth"